Recent events appear to confirm suspicions that Malta’s policy of blocking its harbours to NGO rescue vessels forms part of a new approach to immigration supported by other European states. An exception was made this week for MV Aquarius of SOS Mediterranée, which was allowed to dock at Malta after an agreement was reached to distribute the 141 asylum seekers among seven different countries. But while the Aquarius set sail again from Malta on Thursday, three other vessels – MV Lifeline, the Seefuchs and the SeaWatch – are all impounded in the Grand Harbour and cannot leave. The captain of the Lifeline is also facing court proceedings over allegedly ‘irregular’ ship-registration. 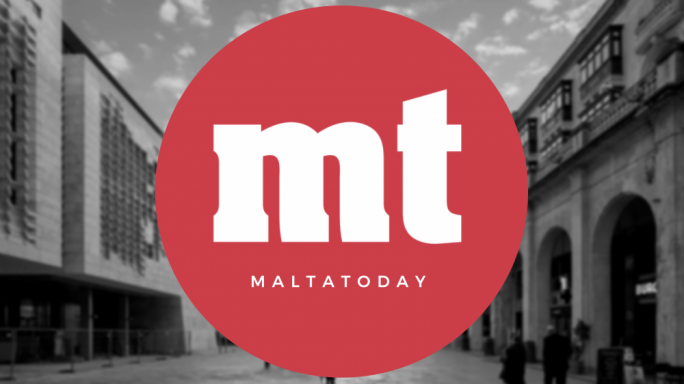 Neither the Seefuchs nor the SeaWatch were accused of breaking any law, but the Maltese authorities are in the process of verifying their Dutch registration as well. A government spokesperson defended the decision, insisting that the Maltese authorities were still communicating with their Dutch counterparts to ascertain the registration and classification of the three ships that all fly the Dutch flag. 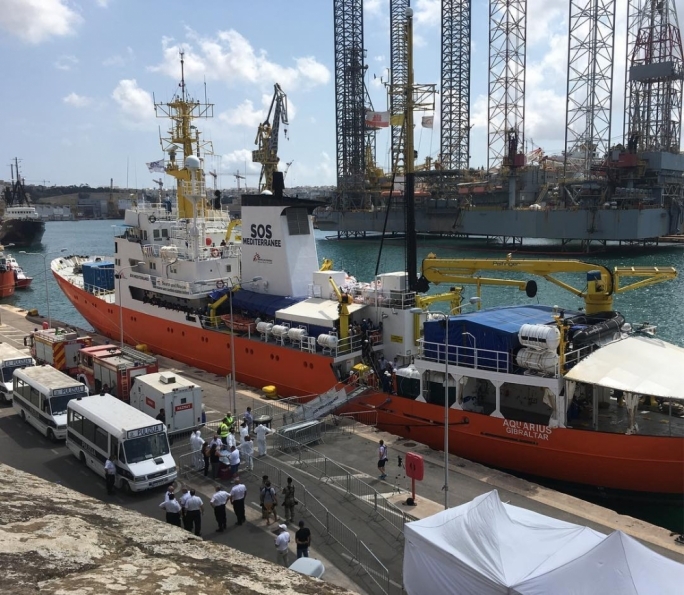 The NGO however retorted that the that Dutch inspectors requested by Malta in July had officially confirmed that the Sea-Watch 3 meets all the conditions of the Dutch flag state, and that the registrations were available. It added that to date, the Maltese authorities have not yet informed Sea-Watch of the requirements that must be met before it can leave port. From this angle, it is difficult to refute the NGOs’ main argument that government’s actions amount to a “politically motivated blockade”, and that there are no justifications, as per international law, to detain those vessels. Nonetheless, this view fails to take in the sheer complexity of the issue at hand. SeaWatch is right to suspect politics as the main motivation; but the political angle of immigration extends far beyond Malta’s shores. The ‘blockade’ policy is in reality a self-defence mechanism adopted by Malta in the face of international pressure exerted by Italy. It was in response to an Italian show of strength from its new right-wing populist government, that Malta clamped down on those NGO boats in the first place; and it was in response to a situation whereby EU member states no longer intervene in any wide-ranging rescue at sea, that the NGOs initially stepped in to rescue asylum seekers themselves. The dynamics of these decisions have been very complex. For a number of years, Italy’s ‘Mare Nostrum’ had ensured the rescue of countless human beings fleeing persecution; but in the absence of a common asylum system for the EU, the project placed undue burden on Italy domestically and politically. It also influenced the ebb and flow of migration patterns. As with all decisions taken by the EU or EU states, criminal organisations responded accordingly: when Mare Nostrum was operational, traffickers fed the outflow to the Search-And-Rescue zones; when Mare Nostrum was discontinued, and NGOs stepped in to patrol the high seas outside Libya, traffickers started monitoring these rescues on the edge of Libyan waters to take back their trafficking boats from saved asylum seekers. Already, the failure of past EU strategies can be felt. The 10-point action plan on immigration, adopted in 2014, had envisaged military strategies aimed at destroying those vessels after performing rescue operations. Now that this plan has clearly backfired, the EU adopted a new action plan earlier this year: part of which constitutes an attempt to give Libya control of rescues at sea, in a move that endangers the right to non-refoulement by sending back asylum seekers to the place they are fleeing from. Even the apparent success of the Aquarius negotiations this week reinforces the impression of a Europe that is powerless to come up with any lasting solutions. Once again we were forced to rely on mutual co-operation and goodwill in a one-off case. But while the agreement is welcome, it is hardly a long-term European policy. This week, Italy refused to rescue a boat on the high seas and it was only when the boat approached Malta’s SAR zone’s southern tip that Malta’s armed forces intervened. This episode confirms the disarray EU member states are in since the Italian election of the Lega-MS5 coalition: but it also poses questions for Malta to answer. Had a private NGO rescued those migrants, would the vessel have been refused entry to our harbours, or punitively detained in Malta for having done what a government failed to do in the first place? It is indeed already incongruous that private NGOs have had to step in where governments refuse to venture; now, it seems EU states want to try and give the impression that there are no rescues to be made at sea, by preventing NGOs from even rescuing them: at a time where there are no large-scale interventions comparable to Mare Nostrum. With this kind of logic, does the Maltese government expect rescues to be made at sea only by passing private merchant ships and fishermen? Does Malta reasonably expect that it can be allowed to criminalise private NGO rescue at sea, while giving the impression that it is abiding by its international obligation to save lives at sea? Sadly, one scenario excludes the other. The policy of criminalising NGOs must end.